“This is all we can afford right now...” or “We can’t afford a higher-caliber CIO”: Actually, you can’t afford to settle for the current state and the associated risks. For better results and significantly lower costs, look beyond the traditional staffing approach. There are new approaches and better ways to engage the top technology leadership talent. A fractional CIO/vCIO/contracted technology leader is an excellent option, especially for small and mid-market companies, and the savings is typically more than $100,000/year versus the traditional staffing approach. An accomplished, fractional CIO provides the company with proven, prime technology leadership that is tailored to your specific needs and budget. “Right now, isn’t a good time for making a change”: There will never be an ideal time for a change, and every day that passes is another potential misstep and the organization will fall further behind. Take action today to get the organization back on the right track. “We don’t have time for a lengthy recruiting process”: As noted in the previous point, there are options available that will provide a great, proven technology leader onsite and helping your company within just a few days, instead of the typical 2-6 months recruiting process. “We have tried others, and they didn’t work well either”: Don’t settle, your technology is too important of a business function to settle for less. If something is wrong with your past approach, it’s time to identify the issues and try a better way. An independent, comprehensive review of the company’s technology organization will provide valuable insight into the gaps, hidden issues, root causes, technology leadership effectiveness and potential risks of the current state. Successful companies have engaged excellent technology leaders, and you can too once you have the right plan of action and a better approach. For more than thirty years I have served both as the CIO/CTO that’s leading the technology organization, and I’ve also served as a global technology advisor to CEOs that are seeking to transform their under-performing technology organization. Business leaders often know that they need more from their technology organization, and they are looking for the right place to start the improvements. Having reviewed many technology organizations over the years, the common finding is great technology leaders produce great technology organizations, and an ineffective technology leader will produce a struggling, ineffective technology organization. Just as great companies have great CEOs, the same is true for great technology teams being led by great CIOs. If your company is struggling with your technology, it’s time to review the technology organization and it's leadership. Regardless of the size of your company, your organization must have the right technology leadership, and there are new, excellent, affordable options available. Don’t settle for less, and don’t let traditional thinking get in the way of success. A common challenge for small businesses is finding the right leadership resources for key roles. Do any of these scenarios sound familiar? You need accomplished leaders and/or a specific expertise but can’t afford it right now. You need to upgrade or improve company leadership in a key area. You need immediate expertise and can’t wait for the typical long recruiting and placement cycle. Your business needs help right now, not 6 months from now. One of the business functions most commonly impacted by this dilemma is technology. Technological capability can be a great strength and advantage for companies, but it can also be very costly and damaging if it’s not properly executed. Poor technology decisions can leave a business leader struggling to play catch-up and paying for very costly missteps. Fortunately, there are firms that offer a great option to address these challenges, in the form of virtual or fractional leadership that contract on an as-needed basis. 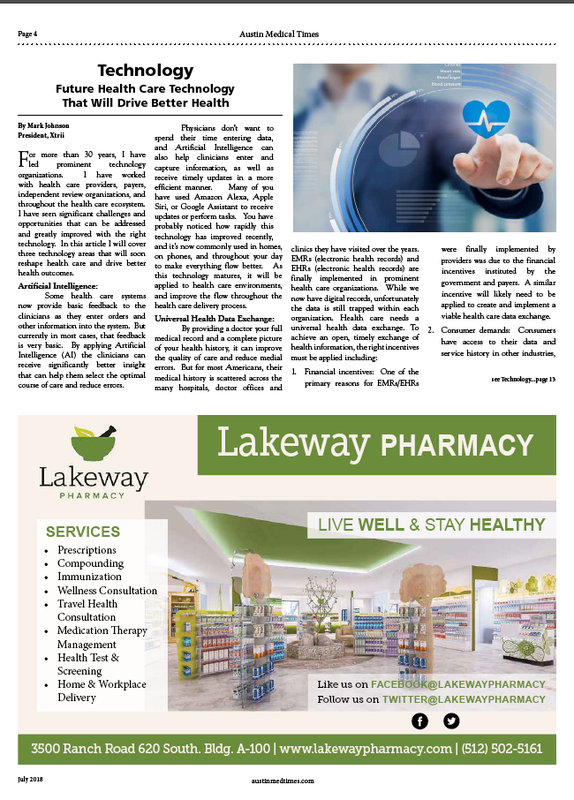 In this article, we’ll focus on the solutions available to solve constraints for your technology leadership, but it’s important to note that similar solutions are also available for marketing, sales, human resources, and other core business operations areas. Often small businesses start out just hiring someone to support their PCs, network, phones, and basic technology operations. As the business grows, a higher level of expertise and strategic thinking is needed. Your business needs resources and expertise, but you can’t afford to pay the cost of a high-quality full-time Chief Information Officer (CIO) or Chief Technology Officer (CTO). Fortunately, there are firms that can provide a fractional/virtual Chief Information Officer that has the right expertise at a fraction of the price of a full-time employee. Whether you need them onsite 2 hours a week or 40 hours a week, these firms can tailor their services to fit your specific needs and budget. You get the expertise you need, when you need it, and at a cost that fits current business. 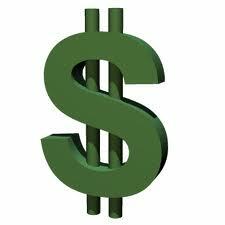 This approach can save a business more than $100,000 per year over hiring a full-time employee. Imagine that your business needs expertise for a very critical decision, a specific initiative, or a peak demand period, and/or to help you ensure your technology organization and technology investments are appropriate for your goals. However, whatever expertise you pay for, it must be affordable and a great fit for your specific needs. Fractional/contracted leadership is a perfect solution for these situations. You get to work with someone who has the specific expertise and experience you need for your challenge, but instead of paying a full salary, you only pay for advice as needed. Too often, companies settle for a department leader that lacks the correct experience and/or expertise just because they feel that they can’t afford a better fit. Whether you are recruiting for a new leader, or evaluating a current leader in your organization, don’t settle for less. 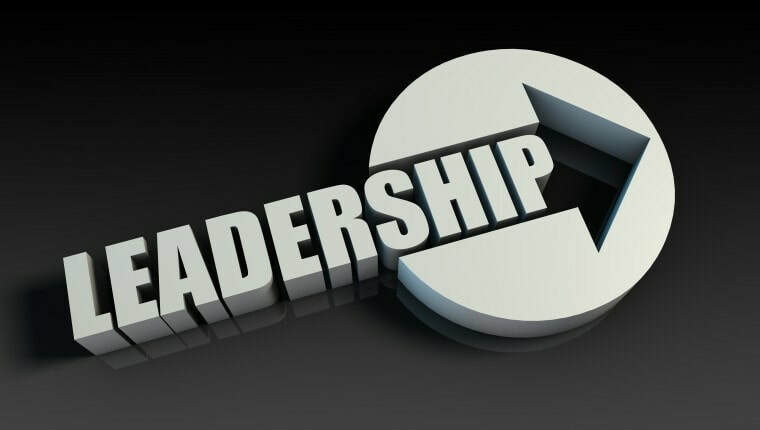 Remember the old business saying, “The resources that brought you to this point probably aren’t the right ones to take you to the next level.” While you greatly appreciate the efforts of the personnel that helped you get the business started, you need to improve the caliber of leadership in order to be successful. If you find yourself in this scenario, it may be time to consider engaging a technology leadership expert or firm that can provide the best talent for your company’s specific needs, while also staying within your budget. Don’t just settle. Instead have the right, proven, accomplished expert on your team. It will make a big difference. Need immediate expertise and can’t waitBusiness leaders may find themselves in need of advice, but they can’t wait the 6+ months necessary for a full recruiting and placement cycle. In the fast pace of today’s market, that six-month period represents the potential for a lot of missed opportunities or missteps. Fortunately, there are firms that provide world-class expertise to address your needs immediately. Instead of waiting through the grueling 6+ month process of a traditional recruiting process, you can make meaningful and informed decisions quickly. You need high-quality expertise to compete with your larger competitors. They may have larger budgets, but when you apply this innovative leadership approach, you can take advantage of world-class leadership talent with a far more affordable and agile approach. The best talent at a significantly lower cost: that’s how David conquers Goliath. Digital Transformation will reshape your industry and significantly impact your business. The age of digital transformation rewards early adopters (and a few super-fast followers), leaving others to play catch-up and struggle to survive. It’s vital for business leaders to have a clear understanding of Digital Transformation and the right way to approach it. Too many companies get caught in the hype, are misled by the wrong guidance, and don’t really understand the true business value and the right approach. Let’s clear up some of the common misconceptions. 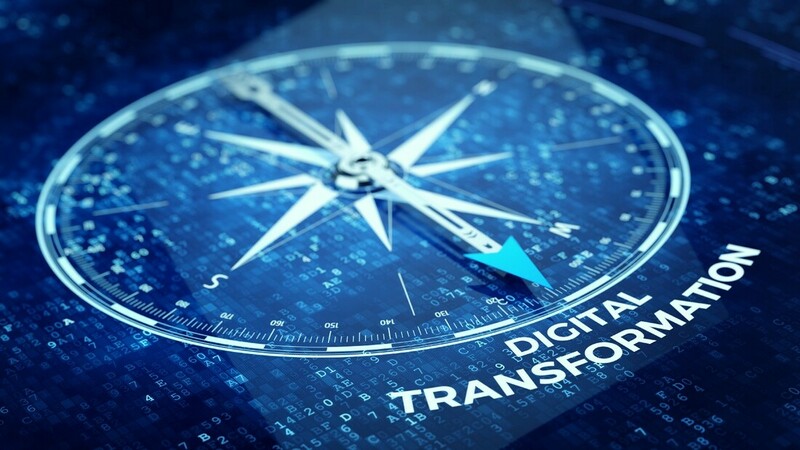 Some companies mistakenly think that implementing a digital project, such as a new ERP, CRM, or financial system, is the extent of digital transformation. While those projects may provide an incremental improvement, they’re far from the full potential a digital transformation can provide. Merely implementing a technology/system is not the same as Digital Transformation. Let’s better define Digital Projects and Digital Transformation, and take a closer look at the differences. Digital Projects: Projects that reduce costs, increase speed and/or quality within the current operating model through the application of digital technologies. 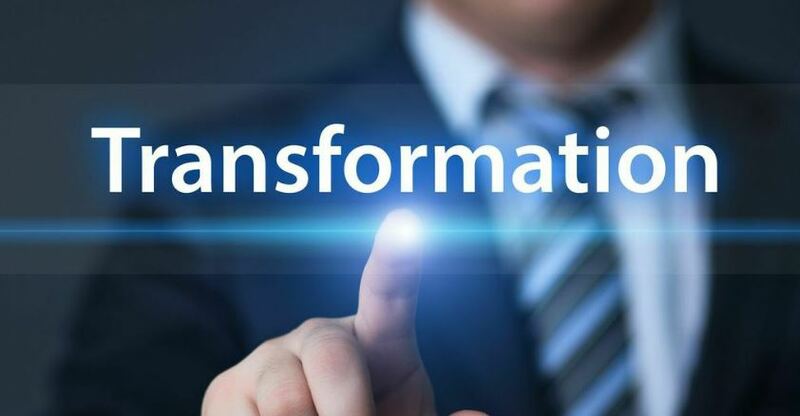 Digital Transformation: Programs that change how the business operates and business objectives are achieved, removes friction and optimizes the customer experience, and transforms the overall business model by leveraging digital technologies. Digital projects can produce only incremental value. Digital transformation can produce business-changing/market-changing value. Improving the operating or business model is the key to achieving business-changing value and changing a company’s competitive position. At the same time as a company designs and builds its digital platform, it must reengineer its operating model, including their mindset, resources model, customer experience, organizational structures, and end-to-end processes. For an example of how digital transformation affects businesses, let’s look at the retail industry. Years ago, local family-owned retail stores dominated most of the market. Then Walmart came along with their “just in time” inventory system that facilitated lower prices and an ever-growing network of stores. They looked unstoppable… but along came Amazon. Though at first it seemed like just an online bookstore, Amazon had ambitions of expansion and a well-thought-out digital transformation plan. As a result, the once-dominant Walmart has been significantly impacted, and has closed stores across the country. In this instance, Walmart has been relegated to the role of “superfast follower.” In an effort to compete, Walmart purchased online retail startup Jet.com and revamped their leadership team to fast-track their plans to catch up to Amazon. Amazon’s digital transformation has changed the way the retail industry works, and they’ve left big-box retail stores struggling to stay in business. All it takes is a look around the empty shopping malls and shuttered outlet malls to see the impact of digital transformation on the retail industry as a whole. There are similar examples in other industries, and eventually every industry will be impacted, including your industry. Which role will your business play: the digital transformation market leader, or the straggler? What should you do now to make sure you are in the right market position? To win this digital transformation race, you need to have the right tools, expertise and team. Assess your ability to execute your digital plan with the resources you currently have. Typically, the technological solutions that brought you to this point won’t be the same ones that will drive your future success. You also need to determine whether your current internal resources can continue to run the day-to-day aspects of the business while effectively driving your digital transformation. Engage a seasoned digital transformation expert/advisor who can provide an unbiased review of your current systems and operating model, identify opportunities, and drive timely execution. Digital transformation is a new concept for most people, and many companies struggle to figure it out on their own. The right advisor can help your company avoid missteps on the road to a timely and successful outcome. Act and execute like your future is counting on it… because it is. Amazon didn’t gain their advantage in the retail industry by merely implementing a new system or developing a great plan; they crafted a comprehensive digital transformation plan and executed the plan in a more timely and more effective manner than their competitors. Innovation and business opportunities have a window of opportunity. Make sure your digital transformation advisors and leaders understand the difference between technology projects and digital transformation, and they are prepared to serve as change catalysts. They must provide in-depth digital transformation expertise, challenge traditional thinking, identify needs, gaps, and opportunities, drive changes where needed, and consistently execute the plan. Take action now, start fast, and execute to win this race. Technology plays a key role in every modern business. If it’s been a while since you’ve assessed your business’ information technology practices, there’s never been a more crucial moment to get up to speed. Digital transformation continues to reshape the business landscape, meaning digital leaders will capture new market share and laggards will struggle to gain traction. While cutting-edge technology can provide significant business advantages, it can also pose serious risks. Whether it’s due to a breach from inadequate cybersecurity or missed opportunities from an obsolete solution, the results of an unexamined information technology program can be devastating. Furthermore, when your technological solutions are down or inaccessible, you not only risk lost profits, but lost customer confidence as well. Your I.T. costs continue to increase while confidence and satisfaction in I.T. service decrease within the company. Your business is evaluating options to purchase new technology. If you’re considering a new system or a move to a cloud service, there are many factors, risks, and issues that must be taken into consideration. An I.T. assessment will help you properly evaluate the options and craft the right plan of action. Scattered vs. strategic: If a business lacks a comprehensive technology strategy, a well-defined roadmap, and effective governance, it will have disparate technology that is scattered across the organization. The result: spiraling costs and unnecessary complexity. I.T. can’t keep up with the pace of your company. It’s great that your business is growing, but the celebration won’t last long if your technology can’t keep up. If you’re frequently hearing “no” from I.T. when you have new requests, it’s time for a change. Today’s business requires agility, and your technology organization must be able to quickly adjust to changing demands and produce timely results for all your business demands. “Data silos” instead of comprehensive, timely business insight: When this happens, the reports that executives see won’t paint an accurate, reliable picture. Reactive vs. proactive: Is your I.T. frequently in “fire-drill mode” and reacting to requests? Or are they proactively driving the business and providing a competitive advantage? You need a change catalyst to assess and transform your I.T. organization from a laggard to a leader for your company. Do you have the right technology resources? Do you really need more I.T. employees, or do you need people with different skills, improved leadership, a better structure, and/or other improvements to your I.T. organization? Unknown risks: Have you been hacked or are your systems potentially compromised? If you’re not confident in your cybersecurity, you’re putting your company’s future at risk. Frequent and/or unexplainable outages and I.T. emergencies. Your business processes and operations are dependent on your systems, and nagging I.T. issues take time and energy away from core business functions. When your network and/or key systems are down, your business is down, and your customers are negatively impacted. If your customers regularly can’t access your services, they may turn to your competitor. Planning for the future: Companies are in a Digital Transformation race. Do you have the right technology strategy, the right team and the optimal mix of internal and external resources? Be sure that you have the right structure and action plan to secure your company’s future. A comprehensive technology review performed by a seasoned tech expert will help you address these issues and risks, and give you the confidence that your business is on a solid technological foundation. This article is the fourth and final part of a series on the technological challenges business owners face in 2018. In past articles, we’ve looked at cybersecurity measures, getting ahead of the technology skills shortage, and building agility into processes. Today we’ll look at how businesses can incorporate smart processes with technological solutions, or to put it simply: digital transformation. In order to improve operations and deliver more value to customers, businesses need to effectively integrate the right technologies. All too often, company leaders are lulled into thinking they can maintain the status quo and continue to perform well. But recent history is full of examples of companies that fell into this mindset; by the time they finally responded, it was too late. ​Times have changed. The age of digital transformation rewards early adopters (and a few super-fast followers), leaving others to play catch-up and struggle to survive. For an example of how digital transformation affects businesses, let’s look at the retail industry. Years ago, local family-owned retail stores dominated most of the market. Then Walmart came along; their “just in time” inventory system facilitated lower prices and an ever-growing network of stores. They looked unstoppable… but along came Amazon. Though at first it seemed like just an online bookstore, Amazon had ambitions of expansion and a well-thought-out digital transformation plan. Amazon’s digital transformation has changed the way the retail industry works, and they’ve left big-box retail stores struggling to stay above water. All it takes is a look around the empty shopping malls and shuttered outlet malls to see the impact of digital transformation on the retail industry as a whole. Which role will your business play: the digital transformation early adopter, or the straggler? What should you do now to make sure you are in the right market position? To win the digital transformation game, you need to have the right tools and team for success. Assess your ability to execute your digital plan with the resources you currently have. Typically, the technological solutions that brought you to this point won’t be the same ones that will drive your future success. You also need to determine whether your current internal resources can continue to run the day-to-day aspects of the business while effectively driving your digital transformation. Engage a seasoned advisor who can provide an unbiased review of your current systems, identify opportunities, and drive timely execution. Digital transformation is a new concept for most people, and many companies struggle to figure it out on their own. The right advisor can help your company avoid missteps on the road to a timely and successful outcome. Some companies mistakenly think that implementing a new ERP, CRM, or financial system is the extent of digital transformation. While those tools may be a piece of the overall plan, they’re far from the full potential a digital transformation can offer. True transformation involves internal processes, customer experience, delivery of services and products— essentially the full continuum of your business. Make sure your digital transformation leaders understand the difference and are prepared to serve as change catalysts. That means challenging traditional thinking and identifying needs, gaps, and opportunities. Act and execute like your future is counting on it… because it is. Amazon didn’t gain their advantage in the retail industry by merely crafting a great plan; they also executed the plan in a more timely and more effective manner than their competitors. Innovation and business opportunities have a window of opportunity. Take action now, start fast, and execute to win this race. Technology protection has improved over the years and hackers have shifted their focus from technical vulnerabilities to individual vulnerabilities. Tricking one person into giving up computer access is the easiest path to sensitive information, and hackers have developed some clever strategies for doing so through email. ​Below are some of the top email threats, and how you can protect against them. Beware of intriguing/funny emails: That funny joke or animated dancing elf picture your friend just sent you isn’t so funny when it ruins your PC and steals sensitive information. Hackers often publish these pictures/jokes and hide their viruses/malware in the attachment. When someone emails the files, they are unknowingly distributing the Hacker’s malware. Be smart. 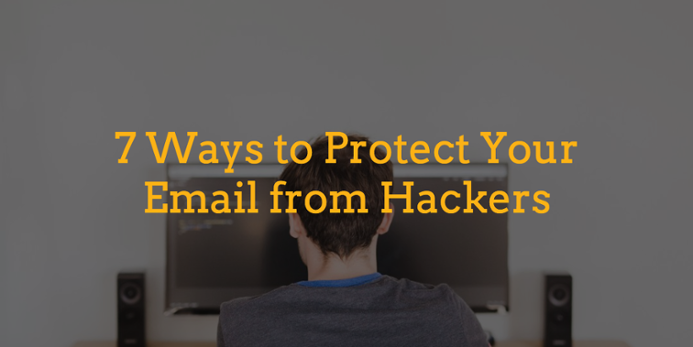 If your friend sends an email that looks spammy, it’s best to be on the safe side. Don’t open it, and delete it immediately. Look out for emails from an unknown source/random emails: If you don’t know the sender or you are not expecting an email from the sender, call by phone to verify before opening the email. Guard against email “spoofing”: Hackers can make their email address look like it came from the CEO of your company, another VIP, or an important entity asking you to do something unusual or suspicious (such as transferring money or providing your sensitive, personal information). If you’re surprised to be receiving an email from someone, there’s chance it’s a fake account. Don’t be fooled. Contact the sender to verify before opening the message or proceeding with the request. Disregard emails with threats: Don’t be fooled by emails containing threats or that attempt to scare you into taking action — even if the email contains the logo of a prominent entity and appears to look official on the surface. Hackers often use the logo of the FBI, IRS, your financial institution, or other organizations along with a spoofed (see #3 above) email address to trick people. These emails often contain language such as “Failure to follow the instructions in this email within 24 hours will result in serious consequences for you….”. Don’t fall for this. Credible organizations don’t send these types of emails. Don’t open the email or click on any links in the email. 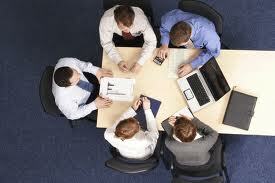 Instead, directly contact the organization via phone or the organization’s official website. Don't click email links: Don’t click on any links in an email. Links can deceptively re-direct you to the Hacker’s website that is used to attack your computer. Instead, open a new browser window and go directly to the proper company website. Don't open email attachments: Don’t open any email attachment from someone outside your company, unless are specifically expecting it and the source is trusted. If in doubt, contact the sender by phone before opening. Don’t use email for sensitive information: Never provide your password, social security number or any sensitive information via email. Rapid Change ... Is Your Business Making The Right Moves? 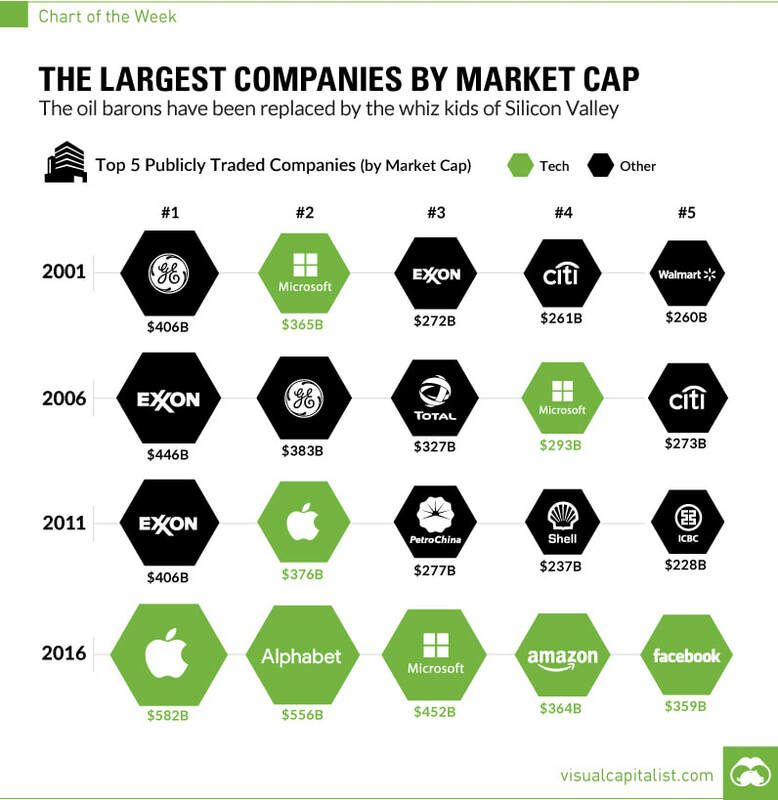 ​Below is a graph illustrating how the list of the world's largest companies by market cap has changed in just the past 15 years. It's interesting to note that only 1 of the top 5 from 2001 is still in the top 5. ​If you go back to 1955, the top 10 list includes General Motors, US Steel, Chrysler, Amoco, CBS, Goodyear, Firestone... and NONE of the these companies make even the top 20 list today. We live in a rapidly changing world. So, why do once thriving companies fall from their market position? 1. The Status Quo: Company leaders get too comfortable with the status quo. I have frequently heard company leaders state "this is the way we have always done it in this company". Well, that may be, but eventually someone with a more progressive view will change it. For example, Kodak failed to transform their business to digital in a timely manner, Kodak's market dominance in camera film lulled them into ignoring the market shift. By the time they finally acted, their competitors had captured the new digital market and Kodak was no longer a top contender in the new digital camera/film market. 2. Narrow Perspective: Company leaders often rely on just their fellow company leaders and people in their same market for guidance. While it is comfortable to talk with people that think like you and have the same perspective as you, it is also a risk. You need to a broader view to consider all the factors and fresh new options. Business leaders should engage experts from outside their comfort zone to get a broader view and progressive ideas. If you don't, a competitor will. 3. Change: Once you determine your plan of action, it must be executed in a timely manner. Often companies talk about change and progressive ideas, but fail to fully execute. Do you have the right "Change Catalysts" on your team? Whether you are a market-leading, multi-billion dollar company or a small company, these business principles apply. Currently, Digital Transformation is reshaping every industry. How is your digital transformation going? Will your business be gaining market share or loosing during these rapidly changing times? ​Invest in the right Thought Leaders and Change Catalysts to help you craft your company's future. ​Market-leading companies fully leverage and optimize technology to improve their operations and deliver more value to their customers. When your technology fails, you’re not only losing profits, you’re also losing customer confidence. Businesses are currently in a Digital Transformation race that rewards the first movers and most agile, and leaves the others playing catch-up to survive. 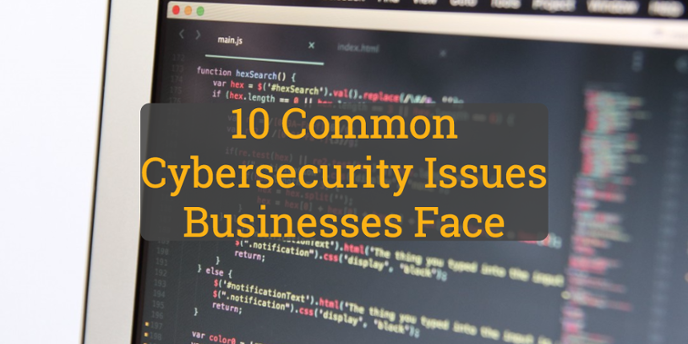 Inadequate cybersecurity can expose sensitive information and put your business at risk. If it’s been a while since you’ve evaluated your company’s technology, most likely there are many issues that you’re not even aware of. Your business is evaluating new technology options. Are you considering a new system or a move to the Cloud? There are many factors, risks and issues that must be taken into consideration. An unbiased, I.T. assessment will help evaluate the options, provide essential insight, and craft the right plan of action. Lack of a comprehensive technology strategy and roadmap. I.T. costs continue to increase, but I.T. service and satisfaction declines. There is a negative view/sentiment of I.T. within the company. I.T. tends to be a Laggard instead of a Leader for your company. 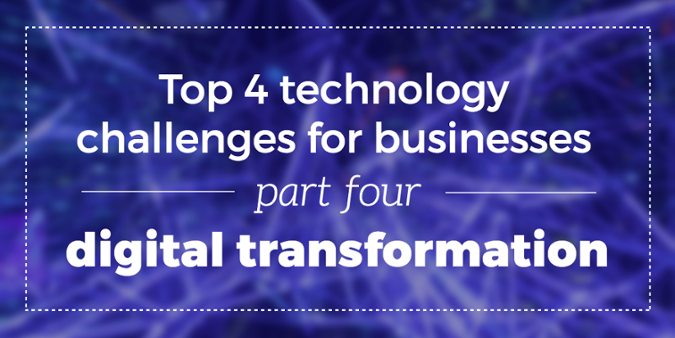 In today's rapidly changing market, companies are in a Digital Transformation race. Do you have the right team to win this vital race? Is your I.T. frequently in “fire-drill mode” and merely reacting to requests? A technology assessment will uncover the issues and chart the course for putting your technology organization on the right path. Your systems have been hacked, or your cybersecurity readiness is unknown. The proper cybersecurity is essential for your future, and it starts with an independent cybersecurity review. You must proactively identify and address your risks. Frequent and/or unexplainable outages and technology emergencies. Nagging I.T. issues are pulling time away from core business functions. Lack of Agility​: I.T, can’t keep up with the pace of your company. It’s great that your business is growing, but the celebration won’t last long if you’re trying to expand and meet the needs of a growing market, but your technology can’t keep up. Today’s business requires agility, and your technology organization must be able to quickly adjust to changing demands, and be capable of producing timely results. Ineffective technology governance. Many departments have pressing technology needs. How does your company set, manage and communicate unified technology priorities? Does your company have data silos? Does the information that executives receive vary by department, and/or the reports don’t paint an accurate, cohesive picture? Frequent “NO” from I.T. on new requests. Are the negative responses from I.T. due to resource constraints, inefficiencies, lack of governance, culture, attitudes, processes, or leadership? An assessment is a great way to understand the underlying issues and turn "no" into "yes, we can". Skill set shortage. Do you have the right technology resources? Do you have the right leadership, the right skill sets, optimized processes, and the most effective technology organization? If you observe any of these signs, it's time for an Information Technology assessment. Xtrii performs comprehensive, cost-effective technology assessments that are conducted by proven technology experts that have helped some of the world's best companies achieve extraordinary success. The following is a written transcript of an interview of Mark Johnson, Chief Executive of Xtrii, conducted by Exec Tech. Hello, thank you for joining us today on Exec Tech, where we discuss the most pressing technology topics that executives are facing today. I'm here with Mark Johnson, Chief Executive at Xtrii, and today we are discussing what business leaders can do when they have an under-performing technology organization, or their company has technology issues that need to be addressed. Mark, what should a business leader do when they feel like their technology is not on the right track, or not up to their expecatations? The first step is to determine where the real issues lie, and the specific areas that need to be addressed. You need the right diagnosis, and you need it in a timely manner. Typically, we start the process with our Xtrii Rapid Review of the technology function within the company. The Technology Review leverages a proven methodology that allows us to quickly perform a comprehensive, independent review of both the technology organization AND also the overall technology function throughout the entire company. ​A company shouldn't just treat the symptoms, you need to get to the core, underlying, root cause of the issues, and implement lasting changes that truly address the entire problem. We have performed reviews for all sizes of companies and a breadth of industries, and we leverage that extensive knowledge and hands-on experience to quickly diagnose and provide a comprehensive "big picture" view of technology through the company, which we use to map the optimal course of action. Are there some common missteps that you see companies make when they have technology issues? Yes, one of the most common missteps is to just fire the CIO or head of IT. They swap out the technology leader, but the underlying issues still remain. ​Again, we first recommend gathering a clear understanding of the big picture and the key issues. If the technology leadership is one of the issues, then we'll address it along with the other factors as part of a well-thought out "Strategic Transformation" of company's technology. Yes, that would be a much better approach. How can companies find out more information about the Xtrii Technology Review? 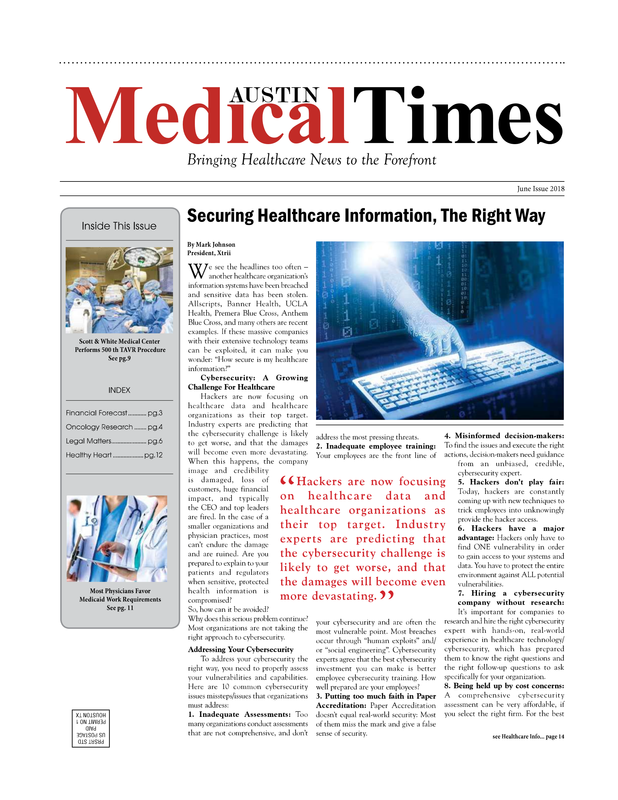 Call Xtrii at 512-537-3757, or visit us at Xtrii.com. We'll connect them with a seasoned technology advisor that is the best fit for their company. We focus on relationships and really getting to know our clients. And for new customers, if they contact us before the end of February, we will waive the initial consultation fees. That's great a great way for them to get to know you and easy way to get the improvement process started. Thank you for tuning in today. On the next episode, we'll be discussing some new options for how companies can hire the best technology leaders for a significant cost savings. We'll see you again soon on Exec Tech. ​Because YOU and your sensitive information that they are collecting in the background are their real product and source of revenue. ​Have you ever looked at what are the top consumers of your smartphone’s battery?... most likely it’s Facebook and other “free” apps. Why does an app (like Facebook) consume so much of your battery? It is consuming your battery by continuously searching your smartphone for new information and uploading your information to that company’s servers. Once they make a copy of your contacts, messages, emails, photos, and other sensitive information, they sell it to others for lots of money. ​Access their website or service through your smartphone’s browser instead. ​Yes, it’s that easy… instead of downloading the Facebook app (or other apps), just go directly to their website and logon through your phone’s browser. The app contains their most invasive tools that secretly scan and collect your information. By using your browser instead of their app, you have removed the app’s collection tools and greatly reduced the information they can collect. ​Most smartphone browsers, including Safari (iPhone) and Chrome (Android), have an option to “Add to Home Screen” in their menu. Just select that option, and it will add that website to your home screen. It's just as quick and convenient, and the icon looks just like the app’s icon. ​Instead of opening the app, it accesses the information through your phone browser, It’s just as convenient and a similar viewing experience, while saving your privacy and phone battery by using this browser approach instead of the app. Most people see a significant (10% or more) savings in their phone battery level each day, by making this simple change. ​With this insight and these few adjustments to the way you access information, you can help keep your personal information private, and greatly improve the battery life of your phone. 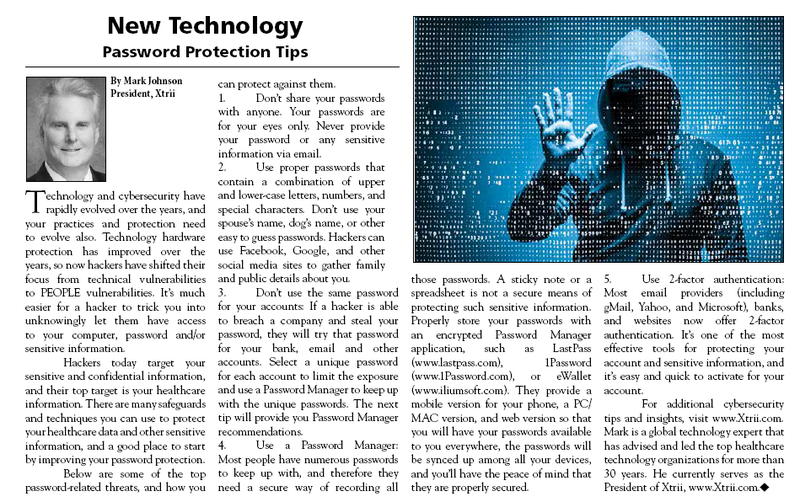 Cybersecurity: Are Your Passwords Safe ??? How many passwords do you have? ... Personal email? Work email? Amazon? Facebook? Twitter? ..... every website wants you to set up another account with yet another username and password. And you also have other sensitive information that you must remember and keep secure, such as your social security number, passport number, voter card, voice mail password, credit card numbers, combination locks, prescriptions, serial numbers, and the list continuously grows and wants to own a larger piece of your memory. Eventually the list becomes overwhelming, which causes some people to start using very risky methods to keep up with all the passwords...they write them on a sticky note, write they in a paper notebook, or they use the same password for every service. But this is a recipe for identity theft, lose of your very sensitive personal information, and/or other significant personal impact. We often see services hacked that we commonly use such as Yahoo, LinkedIn, Home Depot, Zappos, Uber and many others. When they hack those companies/services, they typically steal your username and password, and if you use the same password for every account, the hacker can now access and steal from all of your accounts. I encourage you to create individual passwords for every account. So, you need a better way of securing and keeping up with your ever-growing list of passwords, and I recommend you implement a Password Manager. 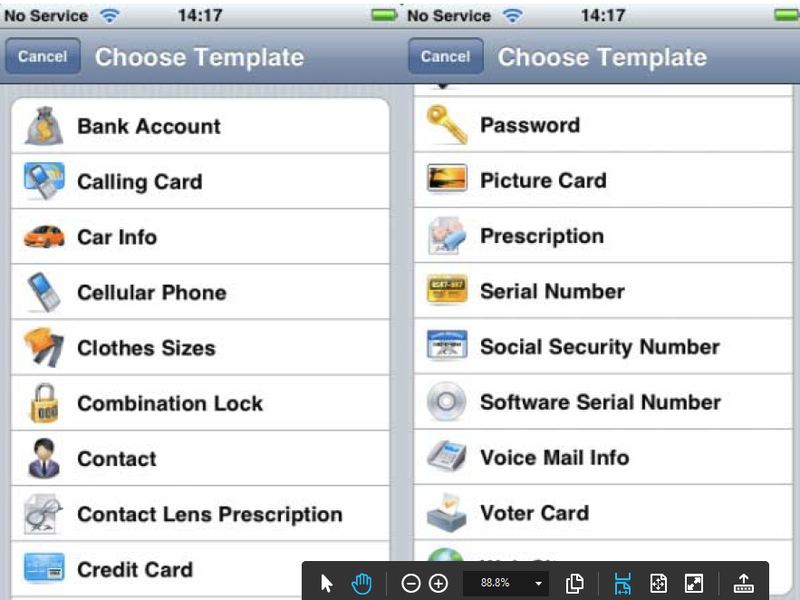 A Password Manager keeps your passwords secure by storing them in an app that is protected by military-grade encryption. Password Managers come in several flavors. 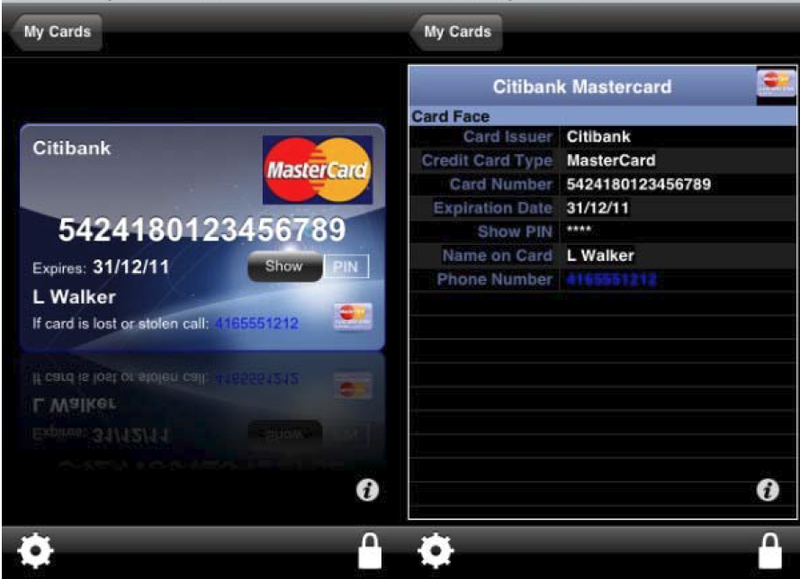 You can purchase an Password Manager application that you install on your device (your smartphone and/or PC), and with that one-time purchase you own the Password Manager. Or you can pay a monthly or annual subscription fee that provides an application that you install or access through a secure website. 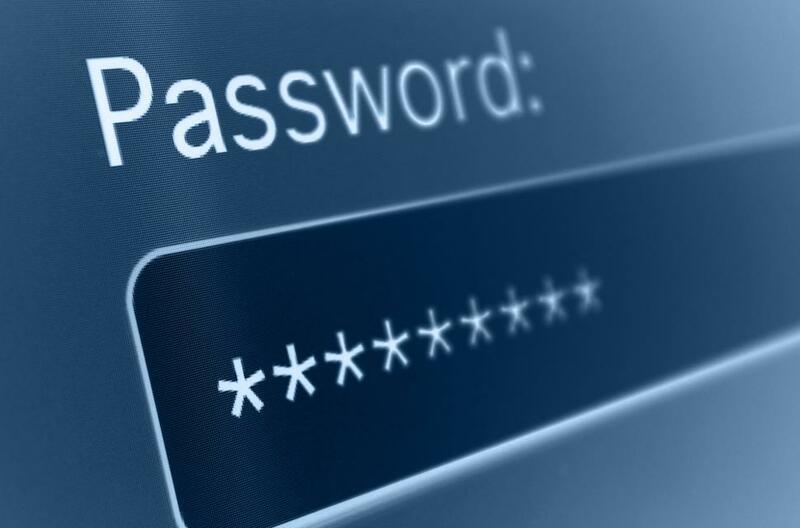 A Password Manager will make your information more secure, give you piece of mind, and make your life a lot easier too! 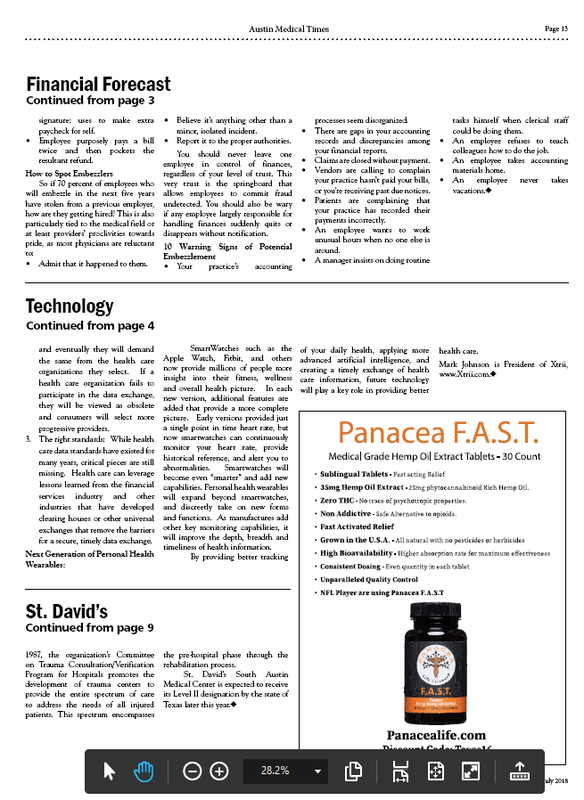 LastPass, www.lastpass.com, is one of the most popular and most recommended by trade journals. Price: Free for basic service, $12 subscription fee per year for premium. 1Password, 1password.com, has been the leading password manager for apple products and it now works well on PC and android. Price: $3 per month subscription fee on unlimited devices, $5 per month subscription fee for a family plan. eWallet, www.iliumsoft.com/ewallet, is my recommendation for a one-time purchase for individual devices. Price: $9.99 one time purchase for your smart phone app, small additional fee to add it to other devices. In addition to providing business technology guidance to companies, I’m often asked which personal technologies are the best. As we wrap up 2017, I'm sharing my best of 2017 recommendations in this series of articles. Start your new year getting better organized with the best to-do-list app, Todoist (www.todoist.com). This category recommendation changed from last year. For many years the best to-do-list app was Wunderlist. But unfortunately, Microsoft purchased Wunderlist, and frankly, they ruined it. 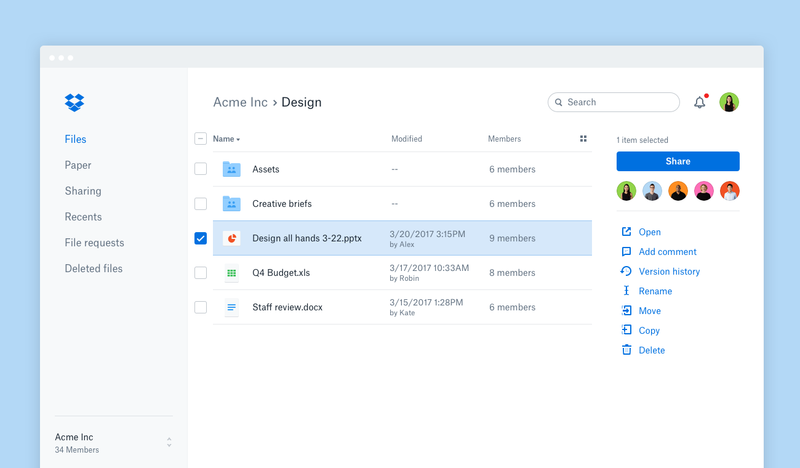 This year Microsoft announced that they are ending support for Wunderlist, and attempted to move the Wunderlist functionality into their own new Microsoft To-Do app. So far, those plans are a failure. Microsoft To-Do lacks some key features that were in Wunderlist, and Todoist has added new features, which makes Todoist the new top pick for a to-do-list app. I have tried many different to-do-list apps, and while each can provide a basic list, the easy of use, intuitive user interface, ability to reliably sync your to-do-list between all your devices, and integrations with other apps (such as Amazon Echo/Alexa) sets Todoist apart from the others. The base version of Todoist is FREE, and even the base version will satisfy most user's to-do-list needs. Printers come in many varieties, and the best option depends on your particular needs. For an individual or a small business, I recommend an all-in-one color printer with an automatic document feeder. For a negligible price difference versus a printer-only device, the all-in-one also provides you a scanner, a copy machine and a fax. The best all-in-one printer is the Epson WF-4720. This one device provides a great color scanner with a high-capacity document feeder, a color copier, a color printer, and a fax, and it's the fastest printer we have ever tested. Typically ink jet printers are very slow, but Epson upgraded this model with their new print technology, and it is shockingly FAST. Who wants to wait on your pages to print?.... nobody. So, when you buy a printer, purchase one that has the right functionality, great print quality AND great print speed. Many people are looking to upgrade their home security. The home security market has greatly expanded this year, and the market is now flooded with options. One consideration is whether you want just security cameras, or do you want a full home automation system that controls your lights, door locks, thermostat, appliances, and other home functions. In either case, the Nest products are a great place to start. 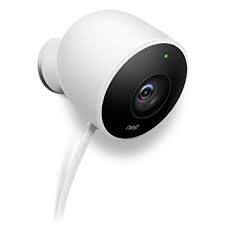 The Nest Cam is very easy to setup, has very solid build-quality, and the video quality is excellent. The Nest app is excellent, and provides a hub to manage all your Nest products. Nest also integrates well with other popular home automation products and hubs, such as Amazon Echo/Alexa and Nexia. 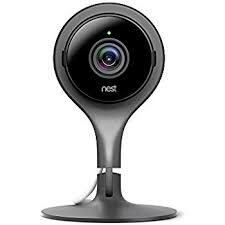 Nest offers the ability to capture the video in the Nest Cloud, which provides you convenient way to access your camera videos from anywhere, and the security of having a copy of the videos at a secure, offsite location....if a thief steals your valuables and your cameras, you will still have a copy of the videos to provide to the police. The Nest Cam can also be configured to send an alert to your phone whenever a person is detected in a designated area (such as your front door or back door), which is another great security feature. And once you receive the alert, the Nest App allows you to have two-way conversation with the person through the microphone and speaker that is built into the Nest Cam. Overall great features and the Nest ecosystem make the Nest Cam the best. ​One of the most frequently asked technology question is "What is the best way to store all my files/data"? Over the years, cloud data storage options have changed the way we store and share our files. One of the first providers of cloud data storage was Dropbox, and now even many years later, they are still the best. This recommendation is for individual use, not a large business/enterprise. The needs are different for a large business/enterprise, and that recommendation will be covered in another article. Today, there are many options for storing your data, with an ever-growing list of cloud data storage providers and new "private-cloud"/NAS options. Let's review the cloud storage options. Google Drive continues to improve and offer new interesting features. Microsoft OneDrive is becoming more compelling with their bundling of 1TB of OneDrive storage with an Office365 plan. I have used all of them extensively, and frequently compare notes with my fellow technology professionals, and the one that everyone keeps coming back to is Dropbox. It's convenient, reliable, and has the best user-interface. Private Cloud/NAS: Some people ask about setting up their own "private cloud", by purchasing and configuring a NAS (Network Attached Storage). While the privacy of your own NAS may sound compelling, when you consider the cost and hassles, your private cloud typically isn't worth it. We recently setup our own NAS for an evaluation. We spent thousands of dollars to purchase all the components, many hours configuring it, and it will continue to require maintenance. For the total cost of this NAS, we could have purchased 10+ years of a Dropbox subscription. And the NAS will most likely require even more costly hardware replacements within the next 5 years (or sooner). With your own NAS, you will still need an offsite, backup copy of your data, which will is another additional cost. Overall the cost comparison and hassles of having your own private cloud hardware just doesn't make sense. Please note: I recommend that you do NOT keep confidential and/or sensitive data in any Cloud service. Instead, keep confidential and highly sensitive data on your own, private encrypted drive and back it up frequently with another, encrypted USB drive(s). Once the backup is complete, keep the backup drive disconnected from your PC and in a separate, secure location. A case can be made for each of the options, but overall I recommend Dropbox for your primary data storage. With pricing continuing to change and new features being added, this recommendation may eventually change. We will continue to test all of them and monitor the progress, so stay tuned. To see the other best of 2017 technologies (categories 1-4), click here. ​In addition to providing business technology guidance to companies, I’m often asked which personal technologies are the best. As we wrap up 2017, I'm sharing my best of 2017 recommendations in this series of articles. While many technology magazines provide their recommendations for the best technology, their opinions are typically formed in their lab and can be biased based on their advertisers and alliances. The Advantages: My recommendations are not influenced by advertising, corporate sponsors or other relationships that can impact magazine recommendations .... I simple recommend the best technology. My recommendations are based on a much larger testing environment that includes extensive hands-on experience, feedback from a very wide variety of customers and environments, 30+ years as a technology leader and global technology advisor, and leveraging feedback from a large resource pool of other global technology experts and their experiences. Over the years I have used both Android and Apple phones. I used an iPhone for many years, and three years ago I switched over to Android. Until recently, my primary phone was an Android phone, the Samsung S7 Edge. Experts point out that the both Android and Apple have the strengths, and I agree. Like many technology professionals I have historically tried to avoid being on the Apple bandwagon, and liked the flexibility of Android. I reviewed the latest offerings, including the Samsung Note 8, the Samsung Galaxy 8, LG V30, Google Pixel 2, and many others. 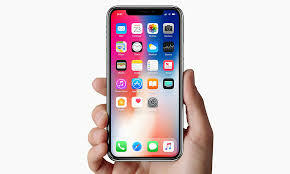 But, the iPhone X just look Apple to another level, and after using the iPhone X for several months, it is without a doubt the best phone I have ever used. The form-factor of the iPhone X feels really nice in your hand, and is well-balanced. The Note 8, iPhone 8 and other smartphones with comparable screens feel top-heavy and awkward in your hand, and lack the “just-right” feel of the iPhone X. The iPhone X’s Face ID works great, there is never a screen lag (like you see on Android phones), it has amazing battery life, and the best overall user experience. Sorry Android fans, Apple created a winner, and overall the iPhone X is the best. ​There are sooooo many home gadgets to consider these days. From robots, home automation, tools, gadgets, and on and on. But if you have to select the one that does the most for your dollar, it’s the Amazon Echo Dot. The list price is $49.99, and right now it is on sale for just $29.99. For that small price, you get an amazing amount of helpful functionality. With just your voice it can do everything from play your favorite music, add items to your shopping list, order products from Amazon, turn on/off your lights, read you the weather, the news, and your calendar for the day, and many other extremely helpful tasks. It has an ever-growing ecosystem of apps and capabilities. Even with loud music playing, the Echo Dot can hear your voice command and is always ready to respond. Yes, Google has a similar product, but it lags Amazon in the list of apps, integrations, and overall capabilities, and the overall experience is not yet caught up with Amazon. Amazon also has other variations of the Echo Dot (Echo, Echo Plus, Echo Show) that have larger speakers and a larger form factor, but also a much larger price (2x to 4x higher price). 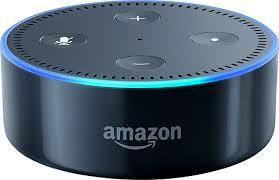 If you are looking to start building your home automation, and/or want the most bang for your buck in a useful home technology, the Amazon Echo Dot is your best purchase. Hands-on experience with proven results: the source of real knowledge is experience. Avoid a career-consultant that only has theories and generic consulting templates. Only take advice from someone that has been there, done it, and has had to live with the results. Ability to initiate a mental shift: to fully leverage technology and achieve better outcomes, often it requires a mental shift. The organization has to change their old ways, rethink processes, and be willing to change. The right consultant is a change catalyst to help you and the entire organization with the mental shift. Unbiased: make sure your internal advisor isn’t biased with internal agendas or personal relationship. For external advisors, make sure they aren’t also reselling or representing the products/services you are considering, or have other incentives that can influence or bias their opinions. Uncomfortable truths and unpopular decisions: the advisor must have the courage to call a bad idea, a bad idea. Even experienced business leaders can be prone to ignoring uncomfortable truths about your business, but the realities exist and must be addressed. Timelines: The right advisor will help you determine the right pace and time frame. If you drag out a technology initiative too long, the organization tends to get project fatigue and loose focus. If you rush the process or skip vital steps, it could produce unsuccessful results. True innovation has a “window of opportunity”… don’t miss it. Unique: Don’t follow a “generalist” that is just reusing the same generic templates from their national firm… if you follow the same generic plan that everyone else if following, where’s your differentiator or competitive advantage? Insist on tailored guidance and unique expertise. Your technology advisor must have the depth of understanding and applicable, extensive experience to provide the right insight and unique guidance tailored to your specific needs. Provide a real solution and overcome challenges: While many consultants can motivate you and tell you inspiring, interesting stories, do they have the right experience, insight and leadership to help you overcome challenges and achieve the goals? The right advisor will help you navigate challenges, and implement timely solutions that work. Clear, written roles and expectations: Make sure their role, the deliverables and the expected outcome is clear at the outset. and spelled out in a written statement of work. Industry experts are predicting that the challenge of cybersecurity is likely to get worse, and that the damages will become even more devastating. When this happens, the company image and credibility is damaged, loss of customers, huge financial impact, and typically the CEO and CIO are fired. In the case of a small business, most can’t endure the damage and are ruined. So, why does this serious problem continue? How can it be avoided? Most companies are not taking the right approach to cybersecurity. Inadequate Assessments: Too many businesses conduct assessments that are not comprehensive, and don’t address the most pressing threats. Inadequate employee training: Your employees are the front line of your cybersecurity and are often the most vulnerable point. Cybersecurity experts agree that the best cybersecurity investment you can make is better employee cybersecurity training. Putting too much faith in Paper Accreditation: Paper Accreditation doesn't equal real-world security: Most of them grossly miss the mark and give a false sense of security. Misinformed decision-makers: To find the issues, decision-makers need guidance from an unbiased, credible, cybersecurity expert. Forgetting hackers don't play fair: Today, hackers are constantly coming up with new techniques to trick employees into unknowingly provide the hacker access. Hackers have a major advantage: Hackers only have to find ONE vulnerability in order to gain access to your systems and data. You have to protect the entire environment against all potential vulnerabilities. Hiring a cybersecurity company without research: It’s important for companies to do heavy research and hire the right cybersecurity expert with hands-on, real-world experience that's prepared them to know the right questions and the right follow-up questions to ask specifically for your company. Being held up by cost concerns: A comprehensive cybersecurity assessment can be very affordable, if you select the right firm. When you consider the staggering cost of being hacked, the cost of a cybersecurity assessment is a very wise investment. Thinking cybersecurity is only an IT problem: Cybersecurity is a company-wide responsibility. The Board of Directors, the CEO, and everyone in the organization must be properly educated, prepared, responsible, and focused on cybersecurity. Not putting in the time: Take time to craft the right, comprehensive plan, and sustain your cybersecurity focus: Your organization is counting on it! ​Cybersecurity threats have evolved over the years. And for business owners to be prepared, it’s important that your protection and knowledge evolve accordingly. 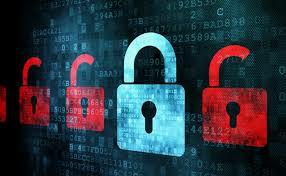 In the past, the right technology safeguards, such as firewalls and anti-virus/malware protection were adequate. But now, hackers have responded by shifting their target from technical vulnerabilities to PEOPLE vulnerabilities. It’s much easier for a hacker to trick you into unknowingly giving up access to your computer and sensitive information. Hackers often utilize our everyday habits and familiar tools for their exploits. 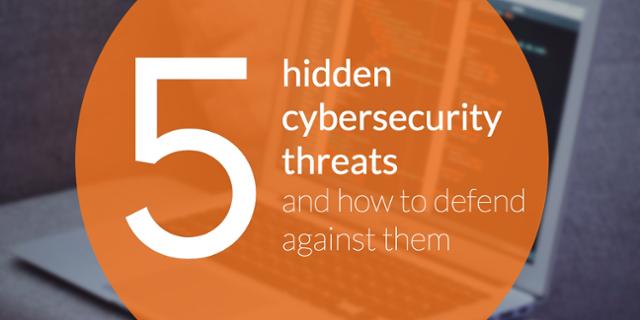 Below are 5 of these hidden threats, and how you can protect against them. People often use USB portable drives for storing and transferring files. Hackers know that they are a commonly used technology, so they’ll often load their viruses/malware on a USB portable drive and drop it near the entrance of a building. They’ll even add a label titled “Confidential”, “Company Salary Information”, or other intriguing labels to entice you into picking it up and plugging it into your computer. As soon as you plug it in your computer, the malware is immediately transferred to your computer and spreads to other computers on your network. So, make sure you never plug in drives from unknown sources. Free apps and free social media services are frequently used to collect and sell your sensitive personal data. Your contacts, pictures, messages, and other very sensitive information are gathered by the app, and — unknown to you — are often uploaded to the provider to be sold to others. Your privacy and personal information is valuable. So, be careful with “free” apps and always look over the privacy policies for the social media websites you use. While the free WiFi at the coffee shop, airport, or other public location may be convenient, it is also dangerous and best avoided if possible. Hackers can use free WiFi to gain access to your PC and steal information. Instead, try using the tethering option on your cell phone to setup your own private, secure internet connection (be sure to check your cellular data plan usage), or wait until you are back to your office or home to use a private, secured connection. Don’t leave confidential/sensitive documents lying around on your desk unattended. Hackers can walk around an office environment looking for unattended documents they can use to gain access. Before you leave your office, put away and protect those sensitive documents. Implement a “Clean Desk Policy” at your company. If you see an unknown person walking around the office, or your computer system has changed in some way with no notice from your IT team, communicate it to management. Communication is vital to address these issues as you can work with your team to minimize the threat. Information Technology ("IT") is rapidly changing. The type of initiatives, the timing and pace, the right expertise and required resources, the available solutions, the way you procure and host the solutions (SaaS, Cloud,...), and other variables have changed and will continue to change. Over the past 25+ years, I have worked as a global CIO, as well as a trusted technology advisor to CEOs and other C-level executives, including CIOs and CMOs. I have found that some leaders get it, and others don't. Some leaders understand the changes and fully embrace and leverage them, and others are still holding on to the ways of yesteryear. Often I find that Chief Marketing Officers are the ones that really get it, and are doing the best job of leveraging the new information technology landscape. They start with the CUSTOMER in mind... not the tech. They set goals that are bold, creative and extraordinary. They can clearly articulate the right business value of the I.T. 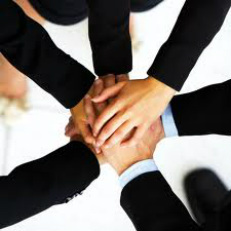 initiative, and get the full buy-in of the stakeholders and executive team. They quickly define the goal and set a plan that will produce timely results. They understand that innovation and the advantage of creative I.T. is a limited time window. In understanding this window of opportunity, they look across all potential resources and find the best expertise that could produce the right results in a timely manner. They don't limit themselves or the initiative to just internal resources, they find external, trusted partners that can augment them and/or can provide the targeted turnkey solution within the required time frame. They get the new business environment for IT... they get the "new IT". In contrast, too often I see Chief Information Officers that are stuck in the old paradigm of "command and control". They insist on everything being controlled by internal IT resources, but complain that they don't have the time or necessary resources to deliver what the customer demands. They have inadvertently set themselves up to be a barrier and/or business constraint, which causes tension within the organization. CIOs and IT organizations must evolve, reexamine their approach, and be open to alternatives. Yes, having been a CIO myself, I do understand the importance of security, integration, and the other concerns that IT leaders throw out for why they can't consider alternatives. But the truth is, you can successfully execute the timely approach being applied by CMOs that I described in the previous paragraph, AND also do it in a manner that is secure and integrated. Now I do know many progressive CIOs that get IT... we just need a lot more that get the new IT. The pace of business and information technology will continue to increase. Windows of opportunity will continue to shrink and become tighter. To be successful, leaders must adapt, continuously take a new look at their approach and options, fully leverage ALL the resources and expertise available, and understand the "new IT". Having worked in the healthcare industry for more than 25 years and serving as the CIO and CTO for healthcare organizations, I have seen a lot of information technology challenges in the healthcare industry. There was Y2K ... upgrading the extensive list of legacy systems and ensuring information systems, biomedical systems and devices, and the wide-array of technology used in the healthcare system was not impacted by Y2K. That challenge was successfully met by most healthcare organizations with little to no impact thankfully. 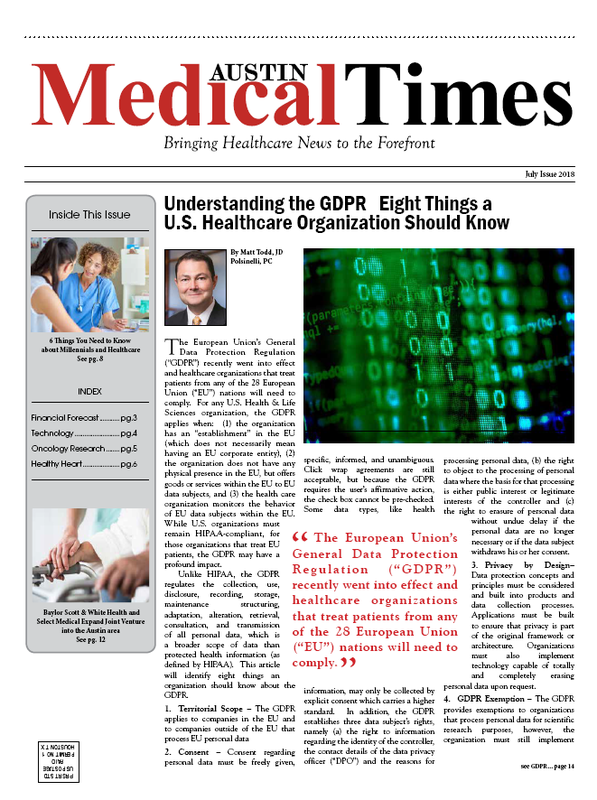 Then there is "Meaningful Use", which has driven a rush for organizations to implement Electronic Health Records and other systems, which again placed a major impact on internal Information Technology organizations. And of course there have been others, which have all kept healthcare CIOs and their I.T. organizations very busy for many years. But now there is a swirling of many simultaneous I.T. initiatives that could become the perfect storm that crushes many healthcare I.T. organizations. Many healthcare organizations are still in the midst of their system implementations and other activities driven by Meaningful Use. Now along comes the required ICD-10 updates, which must be completed by October 1, 2015. The work required to successfully switch from ICD-9 to ICD-10 should not be underestimated, which unfortunately some organizations inevitably will do. And as if those simultaneous, major initiatives aren't enough to keep every CIO and CEO awake at night, the Affordable Care Act (aka "Obama Care") and the new healthcare exchange is generating new I.T. initiatives and an I.T. 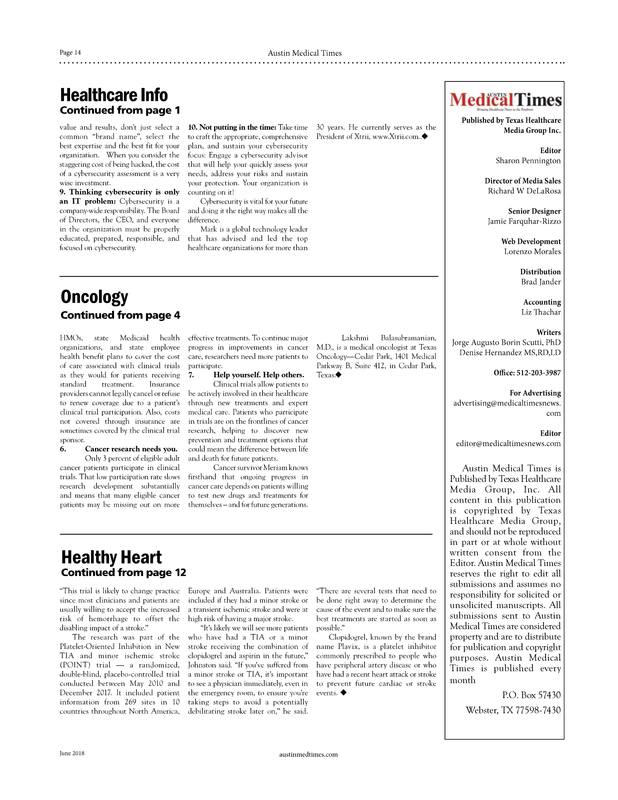 surge in demand within most healthcare organizations. And then there's also the pinned-up demand for the I.T. projects that were put on hold in the past in order to focus on Meaningful Use and the other initiatives I mentioned. And with all those challenges to juggle, healthcare organizations need to also focus on Cybersecurity. Healthcare is now a top target for hackers, and most healthcare organizations are not properly prepared and have inadequate cybersecurity. ​So, as you can see the next year will be extremely busy for most healthcare I.T. organizations. Like all industries there will organizations that will be well-prepared, and there will be those that are not. The difference is, in healthcare the impact can be more than just financial, it can impact patient safety and lives. 1) Augment internal I.T. resources with the "right" external resources that can contribute immediately. You don't want to just throw "bodies" at such a challenge. This situation requires resources that know healthcare and I.T. and can make a meaningful contribution with minimal supervision. The challenge CIOs and healthcare leaders will face is the race to acquire these resources. Since everyone is facing the same deadline(s) and similar challenges, the will be a scramble to acquire these scarce resources. 2) Unfortunately, some CIOs and IT organization will follow their historical approach of trying to just do it all themselves. Good luck! While heroic efforts may have worked in the past, this unique combination of initiatives hitting at the same time will bury those that don't take the right actions. This tsunami is too big! As an technology leaders we need to encourage and assist those fellow technology leaders that are facing these challenges. It's bad for all of us, when one fails. Leverage your network to find the right resources, set the right plan(s), and take action now! This image shows the impact that storytelling has on the human brain. It's a great example of why your presentation should include storytelling. So next time you prepare your presentation, don't create the same old boring, bullet-point style presentation ... instead, think about how you can create a great STORY that will engage and leverage the affects that storytelling has on the brain of each of your audience members. After an extensive review of successful business leaders, professional athletes, Olympians, and other success stories, it was amazing to note how they had instrumental people, such as a coach, mentor, advisor, or some influential person, that they learned from along the way. The road to excellence and extraordinary results is very challenging. So, even though you may have extraordinary talent in one particular area, rarely is someone excellent is every area, nor do they become excellent overnight. It’s a journey, and the journey is much more productive with expert guidance along the way. When Michael Jordan stepped on the basketball court, he had to know more than just how to shoot a basketball… he needed to know how to execute the game plan, how execute his role, how to handle certain situations, and how to respond to ever changing challenges from opponents. Even with his great natural ability, and years of experience, Michael still seeked guidance from coaches and advisors to continuously improve his game and ensure that the game plan, his performance and the performance of the team were on target. Fortunately, he had some of the very best coaches/advisors along the way. In college, he was coached by legendary coach Dean Smith. Dean Smith is considered one of the best college coaches of all time. Once Michael turned pro, he was fortunate to be coached by one of the greatest NBA coaches of all time, Phil Jackson. Phil Jackson has 13 NBA championship rings!.. 2 NBA championship rings as a player, and 11 championship rings as a head coach! So, as you can see Michael Jordan had excellent coaches and mentors that helped him achieve his extraordinary results. Steve Jobs, the admired entrepreneur and technology innovator, is described by many people as a talented maverick and a loner, but that’s simply wrong. The Apple co-founder turned his personal vision into reality with the help of trusted, talented advisors and teams. How did he and his people come up with their ideas and solve the technological and design problems they encountered as they worked on Apple products? By spending time together. As Steve said to his biographer Walter Isaacson: "Creativity comes from spontaneous meetings, from random discussions. You run into someone, you ask what they’re doing, you say "Wow, and soon you’re cooking up all sorts of ideas." Even as brilliant as Steve Jobs was, he still surrounds himself with brilliant technology experts and leveraged all the talent to develop and execute innovative products and extraordinary results. Michael Dell, founder and CEO of Dell Computers, has long been credited for his ability to find and surround himself with extraordinary talent. Even in the early days of Dell, he would assess where he needed additional insight and talent, and then took action to surround himself with the best talent that would supplement his capabilities and help address his business needs. The Challenge: While the results and the need to learn from others is well documented, still people resist getting help from others. Why?! The reasons range from ego, pride, insecurities, or other misplaced thoughts. Successful leaders have learned to put away those fears, and realize that their success, and their organizations success will be far better off with the help of other talented people. None of us are experts at everything. Asking help from others doesn’t mean that they are smarter than you… typically the advisor’s value is they have more experience and insight in that one particular area due to their background or specialty, which can be tapped to fast-track the knowledge transfer to you and your initiative. Supplemental expertise allows you to achieve results far faster than you could by yourself. So who are you learning from right now? No matter what your age, status, or position, everyone should be continuously learning from others. A good start is to look at your current challenges, projects, or concerns and find people that are experts in that area. Adding the right expertise is a catalyst to success. You may need the resource for a day, a week, or many months… whatever the time period, when it produces value and increases the pace of success, it's a great investment. Think about how you and/or your organization good benefit by learning from others. This article is part 6 of a 6 part series titled “6 Factors For Excellence”, and discusses the 6 factors that drive excellence and help you achieve extraordinary results. To read the other articles in this series click here. I really appreciate all the positive feedback that I received on this series. Follow the other factors for excellence that are included in this series, make sure you clearly set your goal, apply the incredible power of visualization, and learn from others. I hope you put these factors for excellence into action and achieve extraordinary results! Excellence doesn't come easy! It requires an unwavering commitment and an unwavering pursuit of the excellence. Why? Well, the unfortunate reality is, the majority of people are comfortable with the status quo. They will see being “ordinary” as OK… and become uneasy when someone takes actions that are extraordinary. So, when you start making changes to achieve excellence, and initiate the actions to move from ordinary to extraordinary, it's not surprising that some people will become uncomfortable with the “change”, and there will be some push-back. Such a situation required real leaders with the heart, commitment, and energy to drive the relentless pursuit of excellence. Let’s take a look at some successful leaders and their journey in pursuit of excellence. NFL quarterback, Tom Brady, is one of only two players (Joe Montana is the other), to win the NFL Most Valuable Player and Super Bowl MVP awards multiple times. He is also one of only two quarterbacks to ever lead their teams to five Super Bowls. In 2010, he was ranked as the best player in the NFL. Tom Brady’s performance and accomplishments are extraordinary. But he didn’t start that way, and the success didn't come easy. As a skinny, unheralded college quarterback, he was seventh on the depth charts and was a backup quarterback for his first two years in college. At one point, Tom hired a sports psychologist to help him cope with frustration and anxiety. Even though his physical build and style were different from the "norm", he knew he could be a great quarterback and accomplish great things if given the opportunity. He finally got his chance, and in his first full year as a starter, he set Michigan passing records and led the team to a winning season. But entering the NFL draft, most NFL analysts didn't think he fit their typical quarterback profile for the NFL, and once again he faced daunting challenges and many skeptics. He wasn't drafted until the sixth round near the end of the NFL draft. Once again, Tom’s unwavering commitment helped him overcome the many skeptics, and his pursuit of excellence continued to drive him to be one of the most successful NFL quarterbacks of all time. Famous Apple founder and innovator, Steve Jobs, faced a series challenges and many critics before he achieved extraordinary success. After working tirelessly to build excellent products at Apple, Steve was fired by the Apple Board of Directors. Yes, he was fired from the company he founded and developed, because many felt his expectations and dreams were too extreme. Yet, he continued the pursuit of the goal of developing extraordinary technology products. So when Apple struggled and was near collapse, the Apple leadership turned to Steve to turn around the company. Fortunately, Steve Jobs's incredible passion for excellence and an unwavering commitment was just the catalyst needed for the amazing turnaround at Apple. That same unwavering commitment to excellence also led to the innovative, high-quality, market-changing products developed by Apple. Yes, the Mac, the iPod, the iPhone, the iPad... all developed under Steve Job's leadership, and all the result of his commitment. So, even for some of the most successful leaders, excellence didn't come easy, but the characteristic they share is their unwavering commitment and pursuit of excellence. The critics and naysayers: For more than 25 years, I have been hired by companies to transform under-performing teams and help them achieve their stated goal of excellence. While such initiatives typically start off well, once we enter the stage that requires changes and/or challenges, you often start to encounter the “critics” and “naysayers” of the organization. Suddenly their comments change to “maybe the goal was too lofty”, or “this company is different, maybe it won’t work for this company”, and various other excuses..... This point is a moment of truth… if you want to achieve excellence, you must overcome these excuses and push forward. Leaders must step up and lead, and they must demonstrate their unwavering commitment to pursuing and achieving excellence. So before you start such an initiative, make sure you have that unwavering commitment up front, and take the necessary steps to sustain that commitment along the way. Excellence doesn’t come easy, which is why so many fail to achieve it. But when you do achieve excellence, the results are extraordinary. The unwavering commitment and pursuit of excellence is the foundation of great people, great teams, great companies, great nations, and great accomplishments. Don’t settle for anything less! This article is part 5 of a 6 part series titled “6 Factors For Excellence”, and discusses the 6 factors that drive excellence and help you achieve extraordinary results. To read the other articles in this series click here. I really appreciate all the positive feedback that I received on this series, and look forward to sharing the final part of this series with you next week. 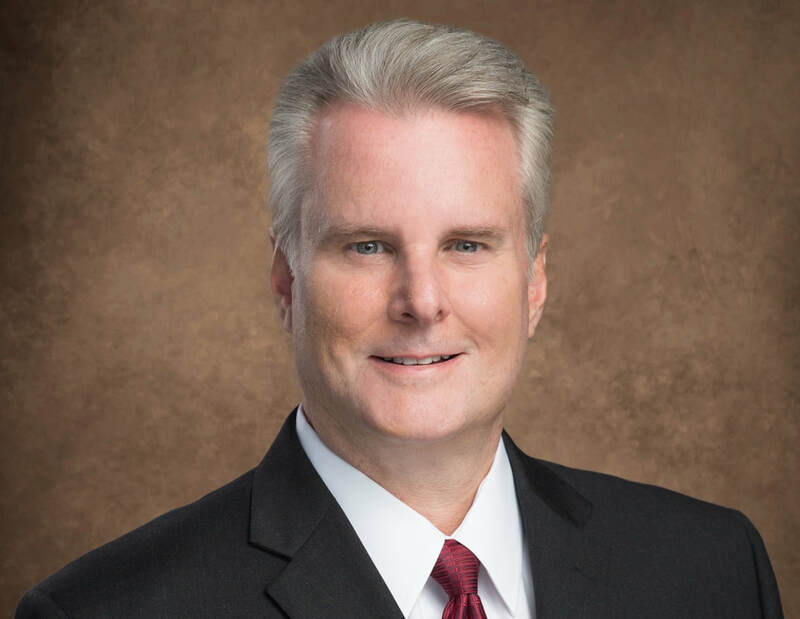 ​Mark Johnson is the Chief Executive at Xtrii. He is a proven, 10x CIO, renowned, global technology advisor and business leader.